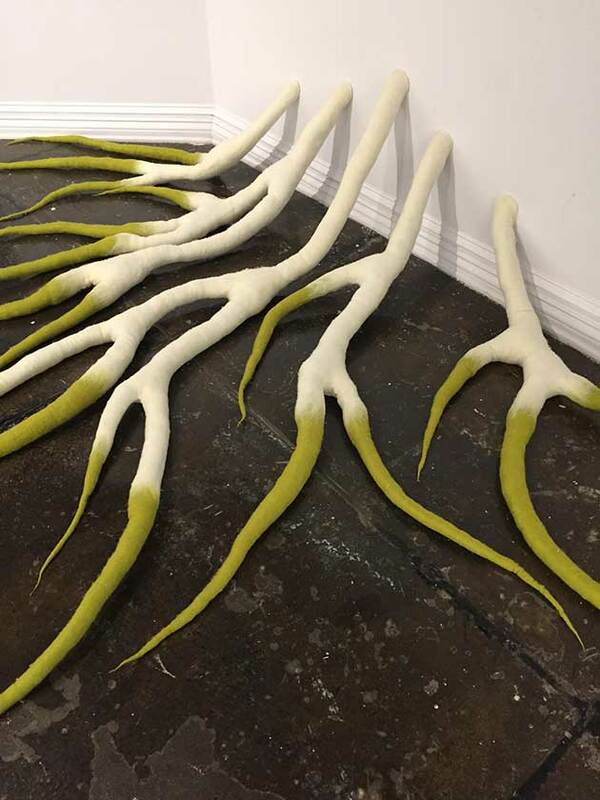 Yeiser Art Center (YAC) and the Paducah Arts Alliance (PAA) are pleased to welcome Anna Kristina Goransson, Swedish-born artist and lecturer at University of Massachusetts, Dartmouth, to Paducah for a creative collaboration. Goransson will be showcasing In Between, an installation of her felted works at Yeiser Art Center, 200 Broadway, from Saturday, October 8 through Saturday, November 26, 2016. In addition to being Yeiser’s featured artist, Goransson is the current participant of PAA’s Artist in Residence program. She arrived in Paducah on Sunday, October 2, to install her work and will continue her residency through October 15. The public is welcome to attend an Opening Reception at Yeiser Art Center, 200 Broadway in the historic 1905 Market House, this Saturday, October 8, from 5-7 pm. Born in northern Sweden, Goransson moved to the United States at the age of 10. Her artistic background includes a BFA in Furniture from Rhode Island School of Design, a MFA from University of Massachusetts, Dartmouth, and a term of study in Interior Design/Furniture at Konstfack, Sweden’s largest fine arts university college. Her work has been featured in solo and group textile exhibitions in museums and galleries across the United States. She continues to create work and teach felting, dyeing, and other fibers techniques in New England where she lives with her family. 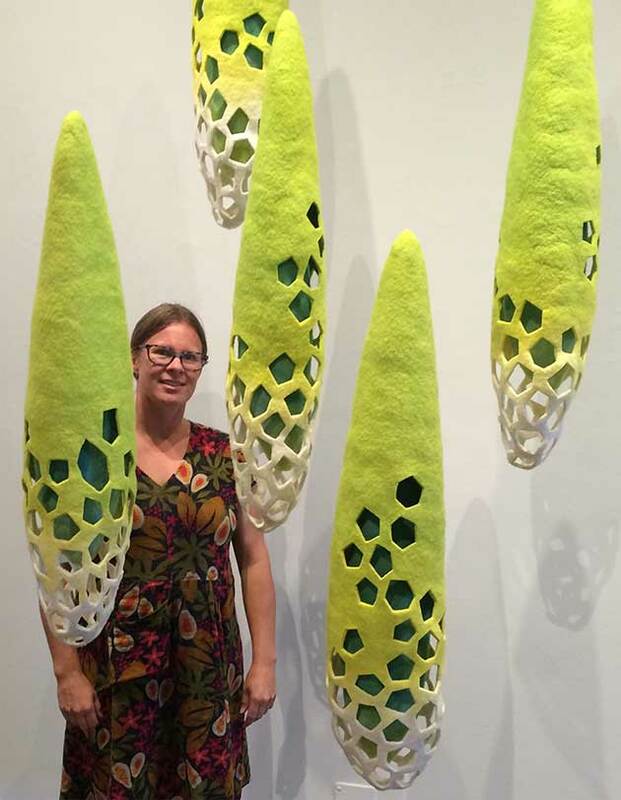 Goransson’s interest in felting began in 2005 while attending graduate school when she participated in a workshop by Paducah artist Lily Liu, Community and Public Programs Coordinator at the Paducah School of Art & Design. 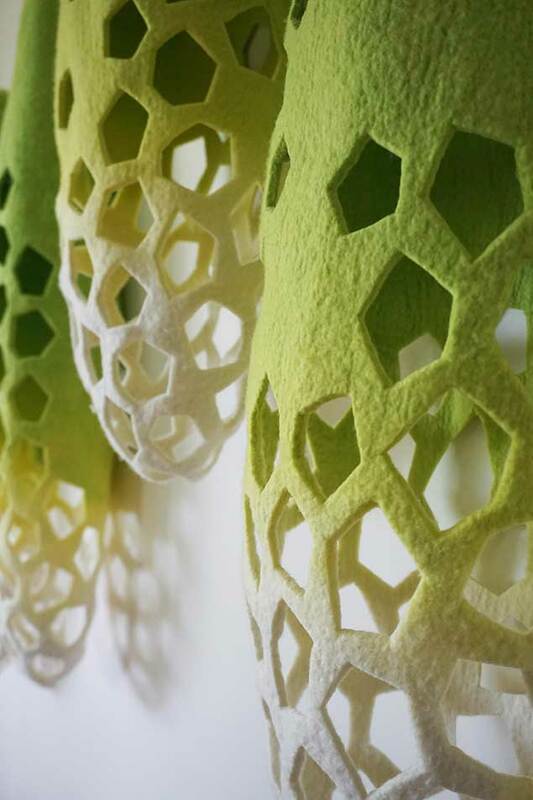 “Once I experienced felting, I knew I had found my niche,” said Goransson. “With the introduction to felting, I could fulfill my desire to create lightweight three-dimensional forms that are saturated with color.” Her work—which falls between craft, art, and design—shows transitions in nature and hints of Swedish folklore while based in modern aesthetic. An addition to Goransson’s personal connection to Paducah, she had always wanted to come to the UNESCO City of Crafts & Folk Arts due it it’s deep association with quilting and textiles and fiber arts. While here, she will be dividing her time “in between” her commitments to YAC and PAA. In addition to meeting her at YAC’s opening reception, the public is invited to bring a lunch to the gallery at Noon October 13 as Goransson presents an artist talk amidst the colorful setting of her work. While not at Yeiser, PAA’s current artist in residence invites folks to visit her in her temporary studio at Lily Liu Design Studio at 533 North 5th Street in the Lowertown Arts District where she will be creating through Saturday, October 15. To arrange an interview, contact Rosemarie Steele or Stacey Reason, or email Kristina Goransson directly or call 401.301.266. For more information regarding the artist, visit her website.